Cpl. 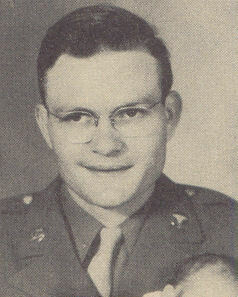 Glendon F. Peel, son of Leonard F. Peel, graduated from Littlefield, Texas, High School; husband of the former Oma Lee Fox. Entered Army in Oct., 1942, trained in Ft. Sill, Okla., Beaumont Gen. Hosp., El Paso, Texas, and Camp Grant, Ill.; served in England, France, Wales, Belgium and Germany; was discharged in Nov., 1945. Awarded Good Conduct Medal, ETO Ribbon with two Battle Stars.